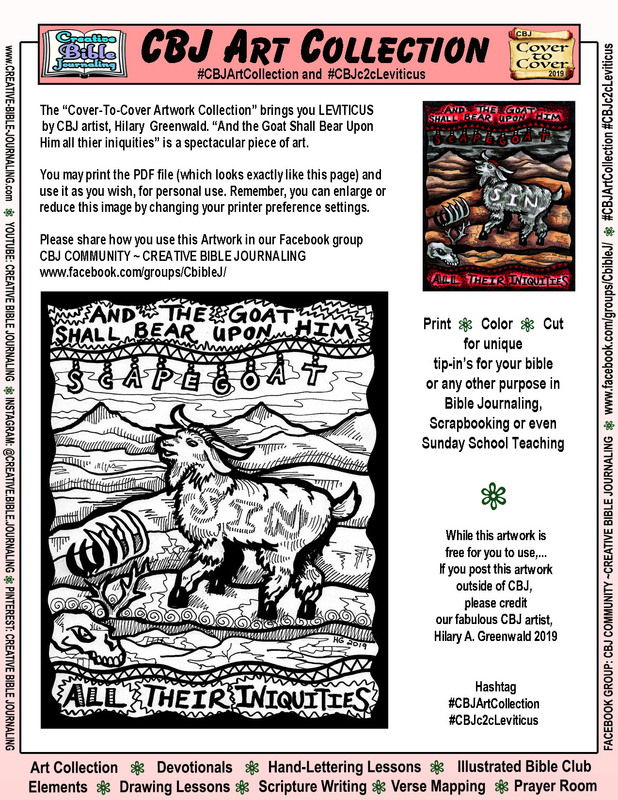 The “Cover-To-Cover Artwork Collection” brings you LEVITICUS by CBJ artist, Hilary Greenwald. “And the Goat Shall Bear Upon Him all their iniquities” is a spectacular piece of art. You may print the PDF file (which looks exactly like this page) and use it as you wish, for personal use. Remember, you can enlarge or reduce this image by changing your printer preference settings. If you aren’t a member of the group, simply request to join. While this artwork is free for you to use, for personal use… If you post this artwork online, please credit our fabulous CBJ artist, Hilary A. Greenwald 2019. Thank you.